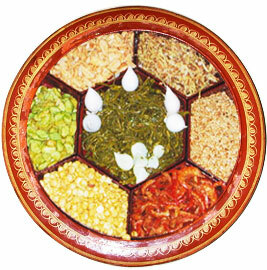 One of the famous side-dishes of Myanmar is la phet thote. La Phet means pickled tea leaves and thote means salad. So if you translate in English, it’ll be “Pickled Tea Leaves Salad”. The making of the pickled tea is abit complicated. In Myanmar, the steamed leaves are heaped together in a pulp mass and thrown into basket and left until the next day. The baskets are then put into pits in the ground and covered with heavy weights placed on top of each. Inspection is often made to see how fermentation is progressing and sometimes there is re-steaming . There are pickled tea leaves brands such as Pin Pyo Ywat Nu, Yuzana, A Yee Taung, etc. There are also different sorts of la-phet. There’s one type of laphet called “shuu-shel” which is a descriptive word of the condition of your mouth when you eat that extra-spicy la-phet. Another type is chin-set, which means spicy and sour.